Heavy traffic: listing the Black Saturdays (and other Black Days) on Europe’s roads this summer. 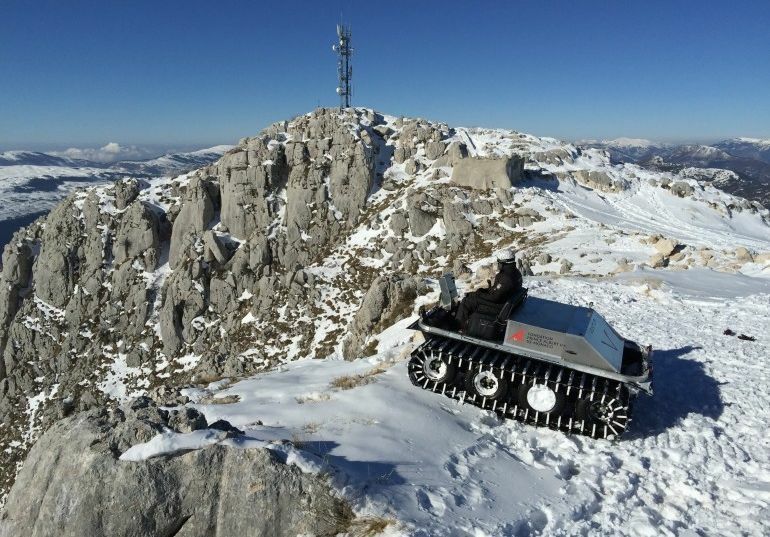 Plus, a ‘clean’ Artic sled has been testing at the top of the French Alps. Potentially good news for English passengers on the upcoming Ferry to Norway. New ‘no frills’ fuel goes on sale in Portugal this week, but will 98 octane still be available? 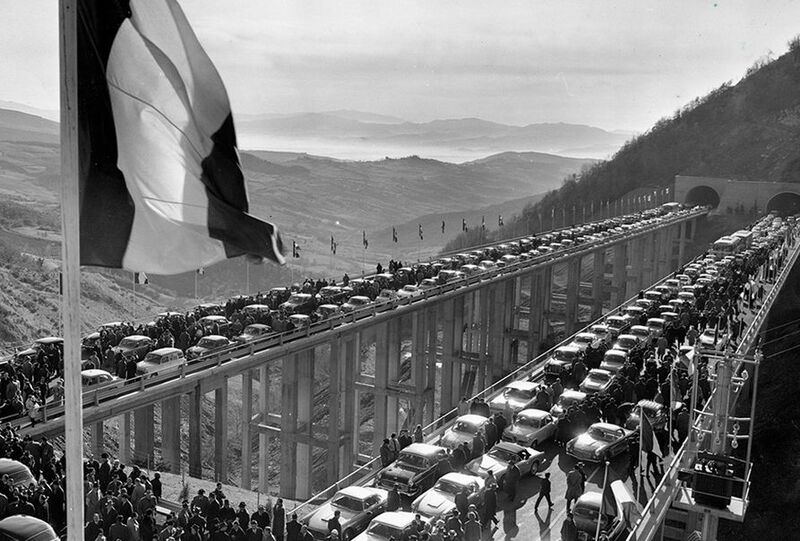 A spate of collapsed roads in Italy sees the road boss resign. Days to avoid Europe’s roads this summer. First the good news. There are only three Black Saturdays in France this year (compared to four last year). A Black Saturday – Samedi Noir, or Zwarte Zaterdag (in Dutch) – is a big getaway day when everybody sets off – or returns – from their holidays (they happen in winter too, and Easter). In France, delays can easily top five hours on the two main axis, A10 Paris-Bordeaux and A6-A7 Paris-Lyon-Avignon. Saturdays 11 July and 1 August are the Black Saturdays this year, both heading south from Paris (basically). Many/most drivers will head back on Saturday 22 August. Germany doesn’t have Black days, their busiest are a dark salmony pink (according to the ADAC), and they aren’t confined to Saturdays either. As a way to soften the blow, pastel shades are wholly inadequate as German roads at their worst can be as bad as anywhere. While the French head mainly south or north, the Germans head everywhere – north to the Baltic and Scandinavia, south west to France and Spain, south to Italy and south east to the Adriatic and Lake Balaton in Hungary. Mostly however they holiday internally. Also unlike France there aren’t just a few busiest days but fourteen in total, kicking off on Wednesday 13 May, then Friday 22 May, Saturdays 27 June, 4 and 11 July and every Friday and Saturday in July and 7-8 August. It quietens down after that however. As the quintessential central European transit country, Switzerland suffers with heavy traffic throughout the summer. The action kicks off in mid-May and lasts right through until early September. The classic pinch point is the Gotthard Tunnel. Multi-hour waits at both ends are inevitable. Because many drivers are heading through the traffic moves predominantly between north and south. Unfortunately, the bulk of the black days see heavy traffic moving both ways at the same time – on Saturdays 16 May and 27 June, every Saturday in July and August plus Saturday 5 September. Otherwise, the black days heading south are Wednesday–Thursday 13-14 May, Saturday 23 May and Friday 24 July. And for traffic heading north, Sundays 16, 23 and 30 August. Austria gets busy over the summer – like Switzerland it’s a big transit country – but the jams are at least less long than they are in winter. The busiest roads are the A13 Brennerbahn between Innsbruck and Verona, the A9 between Salzburg and Villach then Karawanke Tunnel across to Slovenia, and the A1-A4 Linz-Vienna-Hungary. The busiest days are all Saturdays starting 23 May with a break until 11 July then right through until the end of August. Also: these are just the busiest days. Other days will see heavy traffic, especially Fridays and other weekends. Click the links for each country to see a ‘Jam Calendar’ (Staukalender in German), or see our more detailed run downs for each week nearer the time. British drivers should also bear in mind equally long delays at the Channel ports on the busiest days (dates to be advised). Coming up: the busiest days in Spain and Italy, plus, How to Avoid the Worst Jams on Black Saturdays. Keen arctic explorer Prince Albert II of Monaco was among those testing a new prototype sled in the French Alps on slopes up to 40%. Made by Venturi – those of the Formula E team – the electric-drive, emission-free ‘Antarctic’ will help prevent contamination of scientific samples. The tests went well; the next stage is to develop the sled to work in temperatures of below -40 degrees. roundup: ITALY. Boss of the state owned road manager ANAS has paid the ultimate price after a spate of serious faults with roads emerged reports Trasporto Unito. Pietro Ciucci resigned last night, a few days after a pylon holding up part of the A19 between Palermo and Catania collapsed suddenly leaving the road way skewed. It might now have to be demolished. Last month, the A3 between Naples and Reggio Calabria was shut long term after a fatal construction accident severely damaged a viaduct. The SS121 between Agrigento and Palermo also suffered major cracks just six days after opening in January, injuring several drivers, and another road in Sardinia has reportedly shut recently under similar circumstances. CROSSING THE CHANNEL. Ports in the north of England (and in Scotland) have been linked to the upcoming Ferry to Norway so far but English ports are under consideration too as the company looks to launch services next March. Norwegian Seaways operations director Paul Woodbury let it be known on Twitter yesterday that, ‘We continue to consider a handful of UK ports as potentially serviceable options. Harwich remains one of those options.’ PORTUGAL. New ‘no frills’ fuel goes on sale on Thursday though drivers should manage their expectations about potential savings reports Portugal News. The new fuel, petrol and diesel, will be sold without additives. By law it will be widely available raising questions over whether 98 octane will still be sold as many stations are apparently draining premium tanks to make way for the new product. According to Fuel Prices Europe, the highest price currently charged for unleaded95 is €1.544/l while diesel is €1.284.